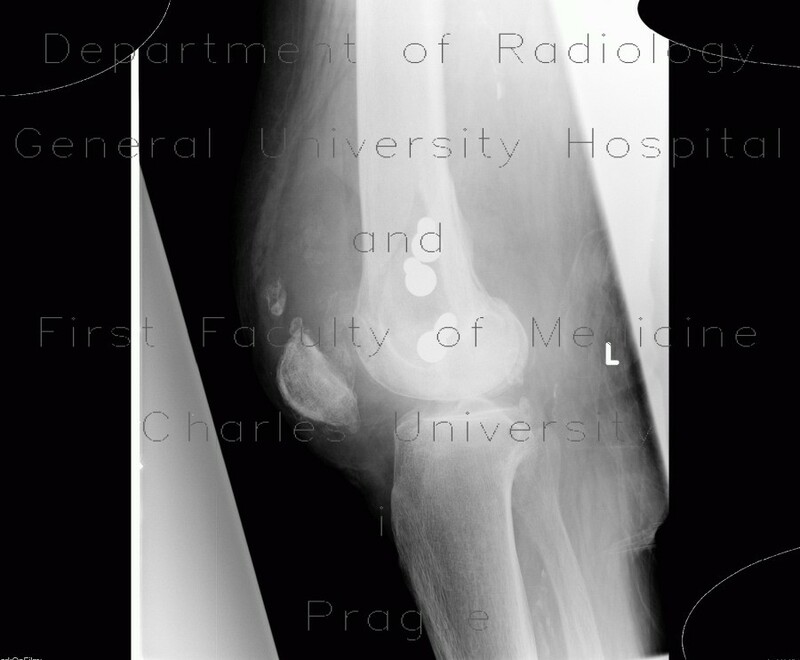 Patient with extensive knee joint effusion which can be appreciated on lateral view as a large convex soft-tissue opacity anteriorly to distal femur (above patella). This opacity contains several areas that are more dense and make it appear inhomogeneous. These correspond to chondromatous bodies. The comminuted fracture of the distal femur was treated with three transcortical screws.